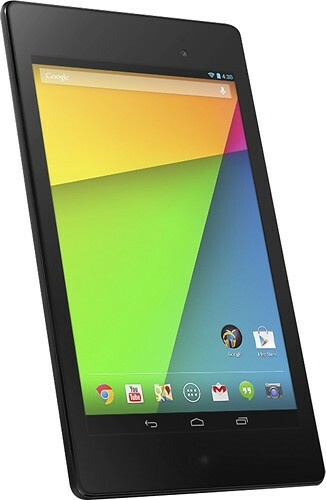 Today, Google announced their Nexus 7 Refresh tablet, which is set to go on sale July 30th. The new Nexus 7 is smaller and thinner, but it packs a big punch! Featuring a 7-inch HD screen with a 1920 x 1200 resolution (323 ppi), the device also packs an Adreno 320 GPU, a Qualcomm Snapdragon S4 Pro 1.5GHz snapdragon processor, 2GB of RAM, 5-megapixel rear-facing and 1.2-megapixel front-facing cameras, virtual surround sound processing, Qi wireless charging, and an LTE version that works on Verizon, AT&T, and T-Mobile’s LTE networks (sorry Sprint users). Google claims it can get 9 hours of HD video playback for battery life. Pricing is $229 for the 16GB model, $269 for the 32GB, and $349 for the 32GB with LTE (in the US). It will also ship with Android 4.3.